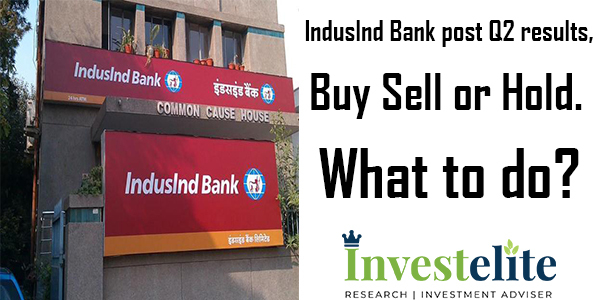 Induslnd Bank post Q2 results, Buy, Sell or Hold. What to do? Global investment banks maintain buy rating on IndusInd Bank post Q2 results and from Monday, see an upside of over 30% closing price of Rs 1626. Global investments banks include Macquarie as well as Deutsche Bank. IndusInd Bank’s second-quarter net profit rose 4.6% year-on-year to Rs 920.25 crore, tempered by a sharp rise in provisions. If one were to exclude the one-off provisions, the profit would have grown by 25%. The profit in the quarter ended September 2017 stood at Rs 880.1 crore while the net interest income (NII) rise by 21 % year-on-year to Rs 2,203.28 crore in Q2 with strong loan growth at 32.4 % and deposit growth at 19 % YoY. After observing the results, Macquarie maintained its Outperform rating on IndusInd Bank posy Q2 results but cut its 12-month target price to Rs 1095 from Rs 2100 earlier. The cut in target price is to factor in 20 bps rise in credit cost for IL&FS exposures and rising bond yields. According to the report, the net interest margins (NIMs) are also under pressure as liquidity tightens. 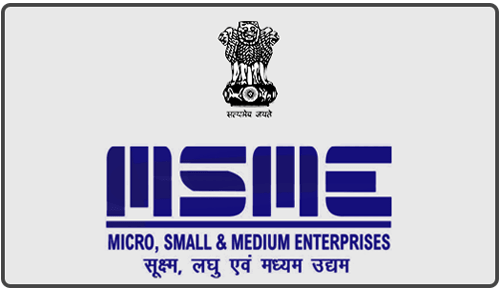 The management is confident of no incremental provision other than Rs 275 crores made in Q2. The asset quality improved in the quarter ended September 2018 as gross non-performing assets (NPA) fell to 1.09 % against 1.15% in the previous quarter and net NPA fell to 0.48 % against 0.51% QoQ. In absolute terms, gross NPA increased 2.3 % sequentially to Rs 1,781.4 crore and net NPA rose 3.3% to Rs 787.6 crore in the second quarter of the financial year 2018-19. While the global investment bank Deutsche Bank maintained its buy rating on IndusInd Bank with a target price of Rs 2150. The bank reported strong growth for September quarter but earnings miss was largely on account of higher provisions. IL&FS exposure is now provided for and the asset quality is largely steady otherwise. NIMs, fall 8 bps QoQ as deposit cost increase faster.